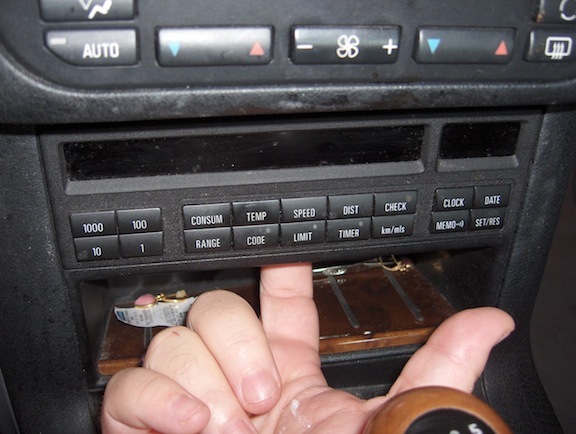 The On Board Computer in the BMW 3-series produced between 1991 and 1999 has a series of bulbs behind its LCD display that will burn out over time. If it’s one of the bulbs behind the long display on the left, it will cause some dim characters on the left, middle, or right part of the display. If it’s the bulb behind the clock that has burned out, you won’t see anything where the numbers for the clock are typically shown. 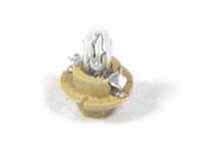 The bulbs are available from on line sources like BMW Parts Web for less than $1 (just search on p/n 62-11-1-391-260). On other BMW parts sites, they sell for $12 for a pack of 4 and so you need to spend nearly $20 after you take shipping into account. 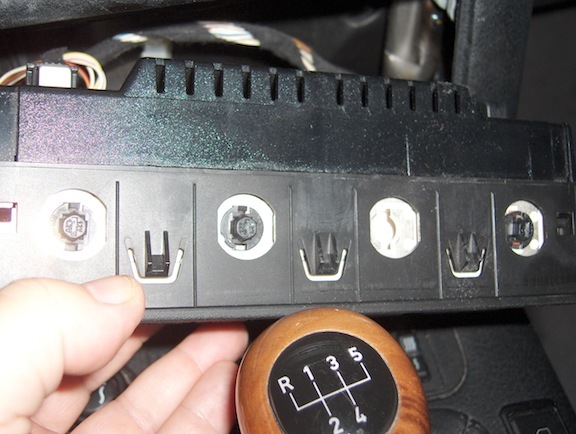 Fortunately, these bulbs are easy to change if you know the tricks of getting the OBC out of the panel. To remove the OBC, you need to reach into the sunglasses tray under and feel around for the hole in the upper part of it. This hole is under a lever that you need to simultaneously push up and forward. This takes a fair amount of force, and if you have long fingernails, you may want to have someone else do it for you, lest you break a fingernail. 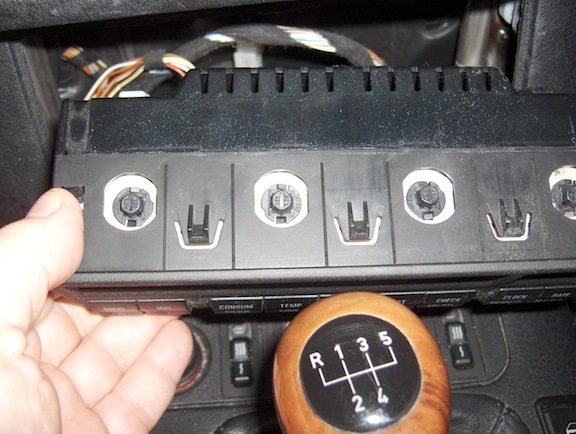 Once you can see the OBC come forward a little, you have probably unlatched it and can reach your finger around behind it to pull it out the rest of the way. Once the OBC is out, there’s no need to unhook the cables on the back of it. All the bulbs are accessible from the top. You can use a flat bladed screw driver or needle nose pliers to rotate the burned-out bulb 1/4 turn and it will pop out. Installing the new bulb the same way, place it in the hole and turn it 1/4 turn. 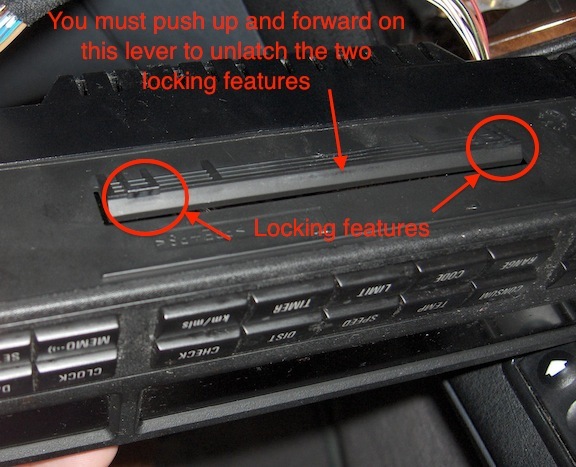 Make sure to test it before putting the OBC back in its slot. In the case of my wife’s BMW, she complained that the clock was no longer working, so when I inspected it to see what had happened, I noticed that it had its own bulb. So I ‘borrowed’ a bulb from the other portion of the display while I waited to get the new one from BMW Parts Web. Borrowing the bulb caused the display to have a few dim characters, but it was still readable so it was a reasonable trade-off to have the clock working again. Very nice post….I will have a clock onmy way home from work today…. (field swap out)…and order the bulbs later on….